What is a SACRED SITE ESSENCE?? 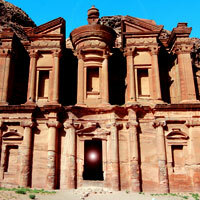 SACRED SITE ESSENCES act like a Homeopathic inoculation of ancient places of Peace and Power. When we use various Sacred Site Essences, we raise our frequency to that of the sacred site and the powerful energy of a special day. All our SACRED SITE ESSENCES are Created in SACRED SITES with permission and guidance from the local guardians. We make many of our Essences during AWESOME SOLAR/CELESTIAL EVENTS. Essences Created in sacred sites resonate with that particular Sacred Site and Cosmic Event of the day. Each one is made differently and is unique to the site it was Created in. They can never be re-made of repeated as energy shifts daily. We have discovered that each essence has a different focus, so please read below to find one, two, or three that call to you! Be clear on your spiritual intent. Listen to where your heart in calling you. Read about the individual Essences and listen to which ones are calling you. Try not to solely choose by where the essence was made, but by what you feel you need to improve in your life. They are simple to use. 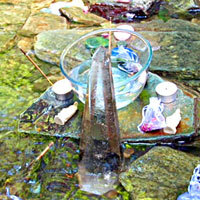 When you take a Sacred Site Essence, be still and be clear on what you are trying to evoke. Just place a few drops under your tongue, or add to your daily drinking water. Use the essences frequently and generously. You may also want to Assimilate and Absorb these sacred site essences by adding drops to bath water, adding drops to a misting bottle with essence and water and use as a spray in your environment, and add drops to cream or lotion and apply to your skin. Each essence helps deepen meditation, stirs deep healing, and activates ancient wisdom within. If you can't travel to sacred sites, this is the next best thing to being there! If you do travel, these essences can accelerate the awakening process even further while on site! Note: All of our essences are Created in a 1 oz. bottle and purified with alcohol. 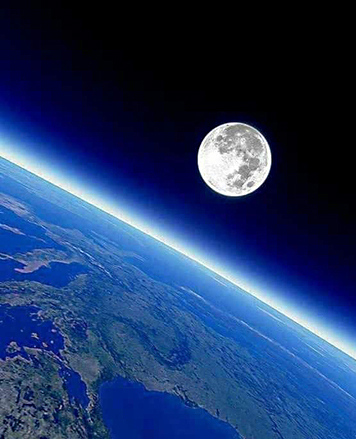 JOIN US for a FULL MOON EQUINOX EVENT from anywhere you are on Earth! 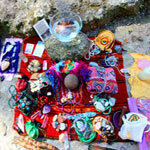 This is a Global Link Up Event / Ceremony / Activation / Meditation on a rare FULL MOON on EQUINOX! To finally, fully LAND (ground) Humanity into a newly available, higher octave Paradigm, with our Awakened HEARTS, using our AUTHENTIC POWER, creating a LANDING PORTAL for humanity in the NEW PARADIGM with our PURE ASCENDING LIGHT. Please join us in spirit, and offer what you will, just as your heart directs, for 33 minutes on this upcoming FULL MOON EQUINOX on March 20th, 2019 from anywhere you are. We will be transmitting love and blessings to you from the heart of Tikal, Guatemala. The Global Gathering Event time begins at Full Moon. If you are outside of the USA, please look up full moon times in your area. Our guidance said that we needed to make available to you, our specially made sacred site essence blend for this event (and our travel group). We have never done this before! It is not necessary to have this essence to participate in this equinox event. But if you desire a deeper resonant conscious connection to our global family, that this sacred site essence blend will provide, you can order here. *** One bottle will provide a collective consciousness connection for about 20 people in your local group with those others all around the earth. Offer good up to March 10th, for $44 USD for 1 oz bottle. After this time, we will not have time to ship it to you, as we will begin our travels to the Mayan sacred sites of Palenque, Tikal, Quirigua and Copan. Place 4-8 drops under the tongue or in drinking water. 1 oz. bottle, purified with alcohol. NOTE: This essence will only be available through March 10, 2019. FULL LIST of all the Sacred Site Essences that are included in the bottle. READ HERE. Use this essence for powerful and nearly effortless assistance with deep processing of outdated programming and all heart wounds (abuses, betrayals, losses, illnesses, etc...). 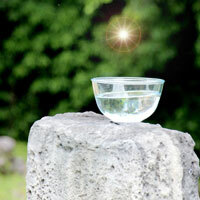 When we made this essence, we received a message about a newly birthed world chalice. This pure and temporarily empty chalice rises just above our outdated Earth and is connected only by a small portal, or worm hole (stem) through which we can travel through to a new world. The portal and lining of this new chalice is coated with pure golden light of potential that acts like a frequency raising inoculation. This way, as we rise up out of the old world, we effortlessly passed through a thorough and powerful cleansing space, so as not to contaminate the new world that we are entering into (This process will be complete by 2020!). We were assisted this day by Archangel Michael, Mother Mary, the pre-Christian order of the Mary's, Jeshua and Joseph of Arimathea, all of who worked and drank from this sacred spring. BUT . . . while we received their support and this message, we also made new friends . . . a team that we call the underworld allies. These ones are turncoats on the darkness. They have awakened and are ready to help this global ascension (This is the beginning of the ending of duality between light and dark). These underworld allies have great experience in processing incredibly heavy levels of pure darkness which would be too much for us to bear right now at our higher frequencies. Yet we still need to clear the dark underbelly of the old world from us, so we can rise up. They have offered to help us with the heavy lifting of clearing our deepest and darkest mis-creations that cannot come with us to the new world. This deeper level of clearing is coming up in our lives as we created this essence. This assistance will greatly ease our transformational process as we will be working together as a team "as ONE" because the new frequencies will support this intent. With their help, and our hard work, we can create a new world that is finally sustainable in the light and incapable in maintaining any form of duality, mis-creation or any form of darkness. This new Chalice Well essence holds this intent, and it will also evolve as we move forward and the Chalice is filled with our purified knowingness and open hearts. Made in a private visit to Chalice Well and its sacred spring water in Glastonbury, England on 7-9-2018. Place 4-8 drops under the tongue or in drinking water. 1 oz. bottle, purified with alcohol. Use this essence to support an unfaltering knowing of who you are and why you are here. It will assist to release you from the repeating patterns (the hamster wheel), to stop guessing and live from your God given Wisdom and KNOWING. Our message was brief but very clear. The message was this . . . Quit believing, leave your faith behind in history, and begin living in the future of true knowing. The new world will no longer support faith and belief systems as this leaks precious power away from us and has slowed us in moving forward in our ascension process. The new world supports the empowerment that comes with true KNOWING that is also accelerated and anchored by deep grounding to the living Earth. For this to work, we must be willing to let go of faith. This also includes prayer which only reaffirms old world programming and keeps us in the consciousness of things that still need fixing. Now we can OWN our complete creative power that lies in deep true knowing, which is truly living in the body of God. This essence will help break age old habits of hope, and assist us to rise up into deep personal empowerment of Knowing as God knows. Spirit created this sacred site essence that holds this frequency and new program of all encompassing KNOWING as God knows! Made in a grounding, 5 Pointed Earth Ascension Star Portal Crop Circle in Wiltshire England on 7-10-2018. Place 4-8 drops under the tongue or in drinking water. 1 oz. bottle, purified with alcohol. Timeless Truth Grounded in the Sacred Elements of Earth. Use this essence to fully open your heart, but in a very protected and grounded space in the five pure elements of Earth. It will assist you to openly be the love and light that you truly are. It is time to grow your wings and fly! As we entered the Glen, we carried with us a very large, smoky quartz crystal that had appeared in the waterfall in the year prior. Other women of this area had been working with this crystal during Celtic Beltane ceremonies in the Glen. This triggered a surprising and spontaneous ceremony for our group right in the waterfall. Here we were asked to assist in making an essence to awaken "The Living Codes of the Sacred Heart". We built our first ever crystal water mandala using many stones that we carried, but also with many little Welsh Preseli Blue Stones (that are the same stones that part of Stonehenge is built from), along with this very powerful smoky quartz crystal. The ceremony came together with the Glen's sacred water, fire from candles, earth that the water mandala was sitting on, air that we breathed, and ether which was within it all. The feeling of joy and uplifting energy with great blessings filled the air. We emerged from the fairy kingdom a bit wobbly and out of body. We felt like time had stopped while we were working here. Made in St. Nectan's Glen and its sacred water, Trethevy (near Tintagel), North Cornwall on 7-15-2018. Place 4-8 drops under the tongue or in drinking water. 1 oz. bottle, purified with alcohol. The Living Codes of the Sacred Heart Essence - Timeless Truth Grounded in the Sacred Elements of Earth. This essence, when used at its most powerful, alchemical level, can assist the user in physically traveling through portals. At this level, please use with wisdom, awareness and caution. Consider doing grounding work before using. This essence is not to be used to escape reality, but to fully arrive in this new reality, in this new cycle. This essence is a powerful, consciousness portal/bridge from "what was" to "what will be". This is a tool to assist in finishing the big leap from one cycle of time to another. This essence honors the past, but will only allow absolute truth to move forward into the future. This is a cosmic baton like a thread through time that is handed off from the wise elders of past generations whose gifts are never obsolete, to the ones that will carry on in a new ways we can not image in this moment. Both Elders and future generations will benefit from using this essence. It will help wise elders to pass on that which applies to the future. It will assist the younger generation to receive and assimilate the downloads and transform them for the future. Why did we wait so long to offer this essence? We have waited years for Spirit's call to release this essence. When I first made this essence, July 18, 2015, I was told that it was not time for humanity to have this tool. So this essence just sat in a protected space in my office. I almost poured it out several times! Then, in the last few weeks, it called to me. This is a powerful portal essence, and if released it before the right time, some people might have made the leap (physically or spiritually) before humanity was ready to do it together. On the day that we were called to make this essence, we tuned into a group of Nordic creation ancestors, much like the Star Elders. I could not speak or translate their sing-songy language, but they did transmit their energy to us. 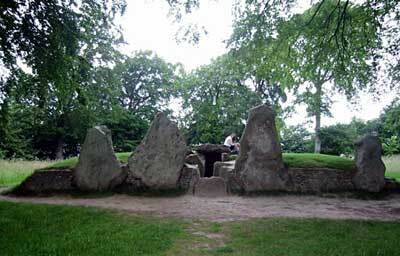 In the inner chamber of Wayland Smithy, there is a very strong, dimensional portal that was quite open on this day. I only sat there a few moments, and knew I would leave my body if I stayed any longer. I hope that next time in Wayland Smithy, I will be able to hear them with clarity, and share their wisdom and love with you. It was a unique interaction with ancient ones for me, and it was very sweet and deep. Created in Wayland Smithy, England (on the Michael Mary ley lines) on 7/18/15. Place 4-8 drops under the tongue or in drinking water. 1 oz. bottle, purified with alcohol. Use this essence for HEALING and physical ASCENSION on all levels. Use it in ceremony for the healing of the Earth and yourself. It can assist you in deep, core healing of old wounds, issues and programming, and help one finally move fully into the present time and future. Use this essence for bringing forth a commitment and an anchoring to the present time but with great celebration. On the day of the creation of this essence, September 14, 2016, we discovered that there was a huge geomagnetic anomaly that was happening right over England that made the news headlines. Our technology was not working because of this anomaly. It was a very strong energy, so were happy that we were at Men-An-Tol on this day. MEN-AN-TOL is known for its powerful healing qualities. We were greeted by a herd of cows (This was a repeating theme on this pilgrimage). 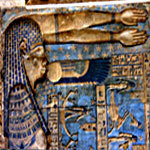 We felt this was a connection to the Goddess Hathor and the bringing forth of great JOY, MUSIC and DANCING. We were called to first envision the Earth passing through the stone, to heal all its wounds, but also to assist its passage into the next world. 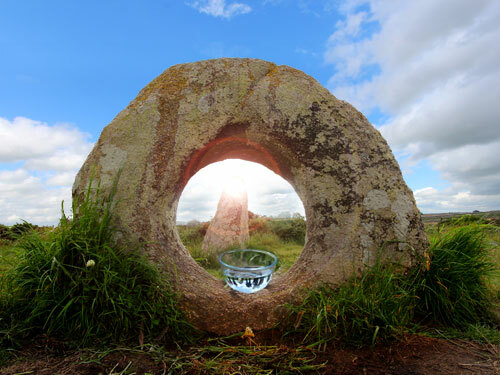 Then we held space in the circle while ones, that were called, passed through the stone for healing (This essence would work well in tandem with the above Wayland Smithy, England essence made a year earlier on 7/18/15). Created in Men-An-Tol, England on 9/14/2016. Place 4-8 drops under the tongue or in drinking water. 1 oz. bottle, purified with alcohol. Use this essence to revive your natural God-given purity, holiness, and to return your consciousness to its original innocence. Use this essence to bring greater depth to your meditations and other spiritual practices. . This essence can assist you in awakening the inner, humble saint within . . . Awakening without ego. This essence was made in the Glastonbury Abbey ruins on September 5, 2016, in the Lady's Chapel, where the birth of the first Christian order emerged. Here we connected and received a message from this very early Christian order that I call "The Order of the Mary's" with three main Mary's (According to the book "Anna, The Voice of the Magdalenes", the 3 Mary's are: Myriam of Tyana, Mary of Bethany and Mariam of Mt. Carmel. But we are still waiting to hear their names for ourselves.) The back story is: On nearby Wearyall Hill, Joseph of Arimathea, Jesus's Uncle, planted his staff made from a Middle Eastern thorn tree. The staff took root, and they knew that this was the place to build the first church. This first, original mud and straw church was located right at the very same spot as the later Lady's Chapel in the Glastonbury Abbey ruins.) Created in Glastonbury Abbey Ruins on the Michael and Mary Ley Lines on 9/5/2016. Place 4-8 drops under the tongue or in drinking water. 1 oz. bottle, purified with alcohol. The Divine Essence of Mother Mary imparting Holy Forgiveness and Love, with a direct link to Source. As soon as we entered Chalice Well for our early morning, private visit, some of us were in tears before we even got past the front gate. Once inside, we were greeted by Mother Mary who was with a group of Holy Women. She offered us forgiveness on our behalf, for the many transgressions upon us, or judgments that we hold against ourselves. She could see, even with great effort on our part, we had not been able to let go or forgive ourselves and others for uncountable transgressions. These are burdens that we do not have to carry anymore. This essence encourages us to live as divine expressions of God as it will wash away lingering self-doubts and old blocks that keep us from manifesting our true divine selves. It is nothing short of PURE LOVE. It will help us to realize our inner dreams and visions which, when made manifest, is our HOLY GRAIL WITHIN. 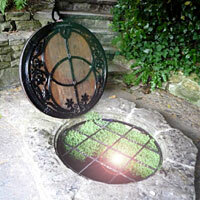 Chalice Well is one of Britain's most ancient, holy wells. 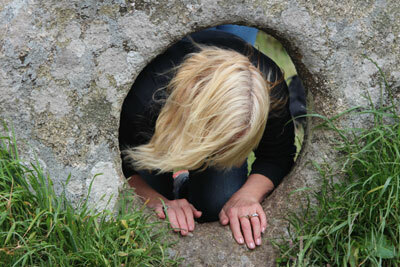 It is at the center of Avalon, located between the famous Glastonbury Tor and Chalice Hill. As a sacred pilgrimage site for over two thousand years, it has been a place where pilgrims have come to drink the red water, find solace, peace and inspiration. 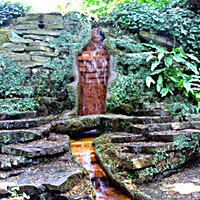 Chalice Well imparts the theme 'Many Paths, One Source' and welcomes all people of goodwill, and oneness in diversity. Many legends are attributed to this well. The most compelling myth is that the Actual Holy Grail was hidden here. The water represents the blood of Christ miraculously springing forth from the ground when Joseph of Arimathea buried or washed the cup used at the Last Supper. It is acknowledged as the essence of life, the gift from Mother Earth to sustain its living forms and a direct expression of an unbounded life force. 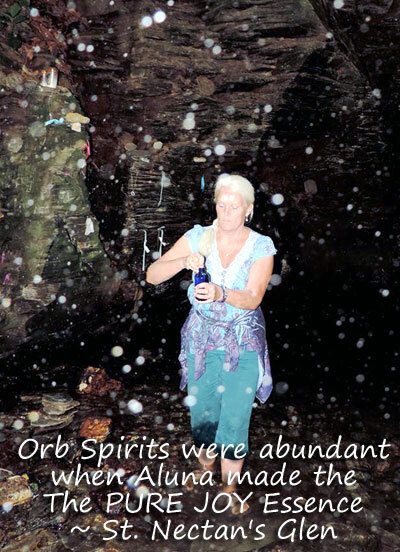 This essence was Created in Chalice Well, Glastonbury, England on July 16, 2013. Place 4-8 drops under the tongue or in drinking water. 1 oz. bottle, purified with alcohol. This very complex essence holds the keys to anchoring and embodying the New Codes of Creation and the Laws of Nature in the new world. This is done by a complex process which we received while in this circle. It first erases memory/history that holds us back from entering the new world. It then links our new third eye (our new vision) to our new Solar Plexus (our store house of creative power). It is then bridged with the pure, uncontaminated light within our Heart (our new consciousness from the new codes) and lastly sealed in our New Aura System while maintaining our soul's orientation point within all time, space and dimensions. Created in the center point of a flower of life, double-star tetrahedron crop circle in a barley field flanked by blooming violet flax. We feel this was best of the crop circles this season. We are sending Great Blessings to the farmer who decided not to mow it down. God Bless you. The powerful message that was received this day will be coming soon to our newsletter. Suggested use . 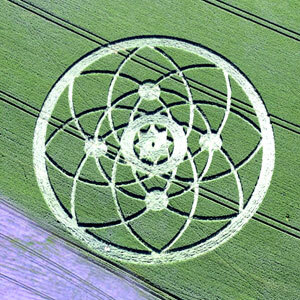 . . Take this Essence in deep contemplation, meditation while focusing on a photo of this crop circle. Caution: Do not use this essence standing up. We also strongly suggest that you don't drive any vehicle until you feel that you have anchored the codes. You will know that this is complete when your Solar Plexus feels stable. 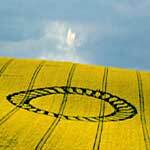 This essence was Created in a Crop Circle in Wiltshire, England on July 18, 2013. Place 4-8 drops under the tongue or in drinking water. 1 oz. bottle, purified with alcohol. This essence helps us connect to the Great Central Sun and to stay in tune with the increasing and ever changing rhythms of nature. It assists us in bridging Heaven and Earth with our physical bodies. It holds an ancient~future sanctity that is beyond our knowing at this time. Stonehenge is the oldest example of a cosmic temple to invoke solar energies (positive charge) and the Gods connected to the Sun. It is also a lunar temple (negative charge) to invoke the Goddesses connected to the Moon. Stonehenge is aligned to 29 degrees Virgo towards the Great Central Sun, where scientists say a black hole holds all the galaxies together. 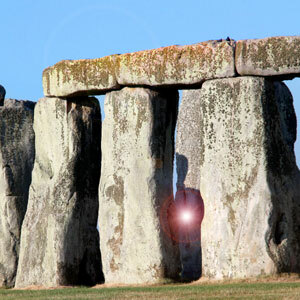 Because of this alignment, high frequencies from the Great Central Sun are focused into Stonehenge. Inside the temple, the geometry holds a six pointed star which is the symbol of the new Jerusalem . . . a six pointed star of David. Crop formations have increased around this temple over the years. 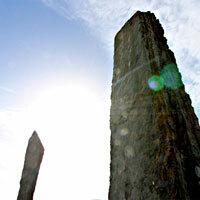 There are even myths regarding Merlyn bringing these ancient stones from Ireland. In any case, myth or science aside, I am sure that those who created this ancient enigma are all having a good laugh at us while we go in our heads to understand something that is way beyond our current consciousness. So use this essence knowing that it might just expand your awareness to encompass the wisdom of the cosmos. 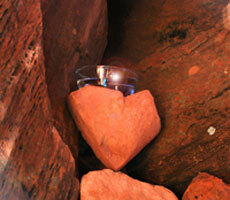 This essence was Created inSIDE the stone circle. This essence was Created in Stonehenge, England on July 19, 2013. Place 4-8 drops under the tongue or in drinking water. 1 oz. bottle, purified with alcohol. Legends associated with this well have grown over the years, including the belief that drinking the water helps cure fertility and help ones that are wishing for their partner / soul mate. But what the water from this well does best is that it helps one "perceive, comprehend and realize God" as an all en-compassing energy that is within and without as well. This site holds the utmost Peace, clarity, and purity that we have ever experienced. 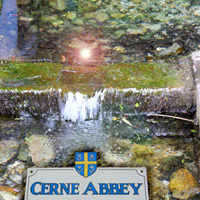 Whatever this wells history, it is undoubtedly a sacred and holy place bursting with peace and calming, healing energy. Respect this essence and take some of its peace with you out into the busy world. 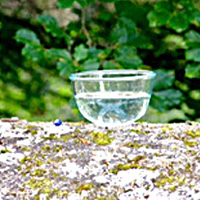 This essence was made at the Silver Well, Cerne Abbas, England on June 20, 2012. Place 4-8 drops under the tongue or in drinking water. 1 oz. bottle, purified with alcohol. All five elements, Earth, Air, Fire, Water and Ether, are indispensable for manifesting in our personal lives and to create a new world. This essence contains the beginning stages of the evolution of an advanced and evolved frequency of the 5 Elements. These highly developed frequencies will be present in the new world that is emerging. This essence holds these higher codes and frequencies. 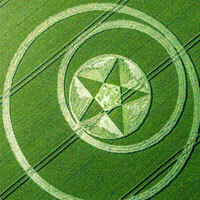 This essence was made at a crop circle near Silbury Hill, England on June 22, 2012. Place 4-8 drops under the tongue or in drinking water. 1 oz. bottle, purified with alcohol. 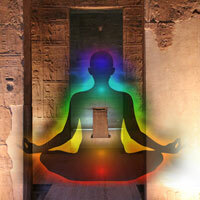 The Ancients knew how to carry out acupuncture on the Earth's grids to release Ascension energy. These acupuncture places are well known today by dowsers. They are places where the Michael and Mary ley lines cross each other in England. When these ley lines cross, they create acupuncture /ascension points which, when activated, can release the energy locked inside the Earth. By using this essence, you can unlock the energy inside of you. You can activate your inner grid/ley line crossings which can release profound ascension frequencies. You can also use this essence when you are doing your Earth grid work by offering the essence to the Earth. Archangel Michael asks "Are you ready to ascend?" This essence was made on a powerful crossing of the Michael and Mary ley lines. 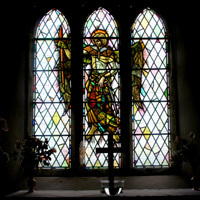 This essence was made at Archangel Michael's Brentor Church on June 25, 2012. Place 4-8 drops under the tongue or in drinking water. 1 oz. bottle, purified with alcohol. Anchors and awakens the inner Christ and Inner Child; Bridges Earth with the Heavens. 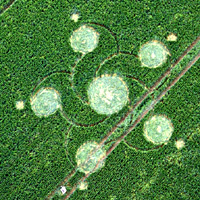 This crop circle is intimately linked to the Mayan Calendar by the frequency of 33. 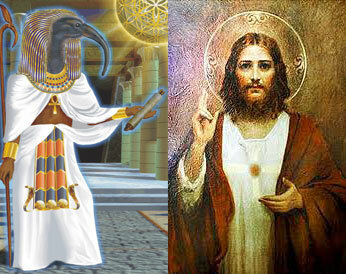 The master number 33 represents Christ consciousness and the awakening Kundalini. The 33 is the 13 numbers and the 20 Suns in the Tzolk'in, a sacred calendar for the human being. The 13 numbers are our spirits and the 20 Suns are our bodies. 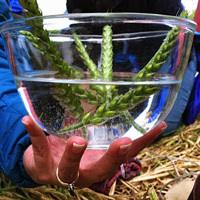 This essence was Created in a crop circle near Silbury Hill, England. Place 4-8 drops under the tongue or in drinking water. 1 oz. bottle, purified with alcohol. Use this essence for crystal clear insight, and a great depth of intuition that is infused with deep peace and profound balance. Use for total immersion into the great ocean of potential and for creation to manifest your intents. 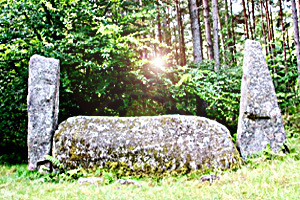 This stone circle has a rare and unusually large recumbent stone (horizontal stone between two standing stones) in which the top portion of the stone lines up with the path of the moon on winter solstice. It is a very powerful water (lunar) creation site. While making this essence, we were joined by four local Scottish dowsers. As we toned and sang, they shared that 145 ancestors had joined us in the circle. We could sure feel it! Made on August 31, 2017. Place 4-8 drops under the tongue or in drinking water. 1 oz. bottle, purified with alcohol. The Crystal Mountain of Schiehallion, a.k.a. The Fairy Hill of the Caledonians - Fortingall area of Scotland. Made on September 2, 2017. Use this essence to activate and reclaim your Christ self and to experience a profound uplifting into the light. With the use of this essence, we are assisted in obtaining crystal clarity, and to foster deep tranquil states of being radiating from our true natural nobility. 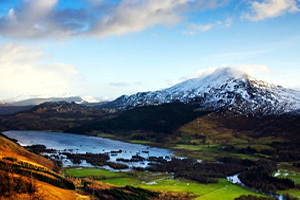 Mount Schiehallion is a pure and noble mountain located at the heart of sacred Caledonia. The veils are so thin here that you feel that you are barely touching the earth. This mystical mountain, quite tangibly, emanates a profound tranquility which projects a powerful force field of energy that can be felt for miles throughout the entire area. 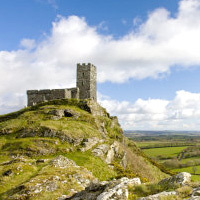 Many ancient orders, like the Druids, Celts, Templar Knights, Rosicrucians, Freemasons, and other Celtic ancestors (echoes of many myths that this may be a home base for supernatural beings), all knew of the importance of this mountain on Earth. It is a keeper of ancient memory and wisdom, and it holds a deep spiritual illumination. There are 3 ley lines going through Mount Schiehallion. (See graphic) Jesus and many members of the holy family came to these areas spreading pure pre-Christian teachings. Mount Schiehallion is considered a holy mountain, much like Mount Shasta, and it is sacred to Highlanders to this very day. This mountain is considered one of the most sacred and spiritual sites in the heart of Scotland. Made on September 02, 2017. Place 4-8 drops under the tongue or in drinking water. 1 oz. bottle, purified with alcohol. Use this three-fold essence to maintain timeless and impeccable ascension traditions that bring about physical immortality. It can help us achieve deep devotion and commitment, and empower precise invocations within deep prayer and reverence that are the foundation stones for ascension. If you have trouble maintaining your spiritual routines, this essence will bring back that focus. 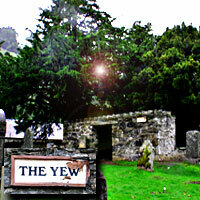 The Fortingall Yew Tree is sacred to the ancient Essenes and the Celts. The Fortingall Yew Tree was visited by Anna, Grandmother to Jesus, and others from the Holy family and pre-Celtic order. It is 5,000 years old and is considered to be the oldest living organism on Earth. Maybe this has to do with immortal Anna having lived in the area as well. Some say that she is immortal and is still living today. 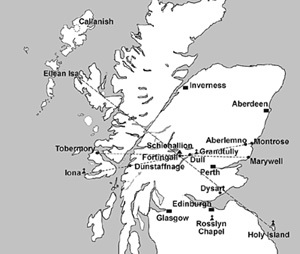 The Fortingall and Glen Lyon area (the location of the Praying Hands of Mary) is a crystal laden valley that is on a huge and powerful ley line grid. It has three valleys (grid lines) that merge into one powerful acupuncture point (a symbol of the sacred trinity). 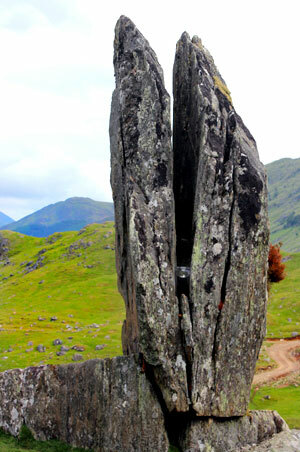 The entire valley is littered with standing stones and small circles, some of which we visited. This church also has ancient, carved Druid stones nearby. We made a Yew Tree Essence from an untouched new growth from this sacred tree on 8/29/2014. Place 4-8 drops under the tongue or in drinking water. 1 oz. bottle, purified with alcohol. This essence contains two vital, foundation codes. The first helps one to access inner timelessness, our divine and sacred void. Once we can maintain this space, we can then access the second vibration in the essence, and that is to embody and maintain immortality. It also assists one to open a star portal in which wisdom can be received and sent. We received a deeply significant message from a large group of ancient Celtic Women with very beautiful, refined energy. The core of the message was that we were offered a download of two vital, foundation codes. The first code being . . . living in no time and space; and thus allowing the second code, the possibility of immortality. This circle was very stellar in nature (12 stones originally). We saw silk-like golden threads connecting us to a matrix of stars. The Stenness Standing Stones may be the oldest henge site in the British Isles and is in close proximity to The Ring of Brodgar and Maeshowe Chambered Cairn. This essence was made between two stones believed to be a portal to the stars, and a cosmic entrance point to where the wisdom would anchor. Made on 9/1/2014. Place 4-8 drops under the tongue or in drinking water. 1 oz. bottle, purified with alcohol. Use this essence to assist in resolving and/or completing long standing projects, challenges and mis-creations that run through families all the way to entire countries, and genetic and religious differences (even for lineage lines going through many life times). This essence also offers a serious upgrade to our connection between earth and sky. This essence was made at sunrise, during a guided meditation linking and aligning the Earth and Sky. This triggered a huge light pulse bringing about a healing of deep and painful estrangements and long standing hostilities between people and countries. We prayed for clarity to heal all the unnecessary drama that is created by wounds of the present and the past. When we felt complete, the sun broke through the clouds in a soft, pink sunrise as a sweet verification of this work. Made pre-sunrise on 9/4/2014. Place 4-8 drops under the tongue or in drinking water. 1 oz. bottle, purified with alcohol. 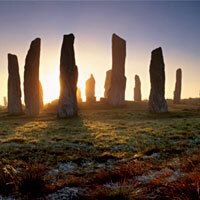 The CALLANISH STONE CIRCLE consists of a central stone, surrounded by a circle of thirteen stones. They were quarried around about 2900 - 2600 BC during the Neolithic period. They incorporate many astronomical alignments within the circle structure. The Southern stone alignment points to the setting of mid-summer's full moon. This essence was made on the Isle of Iona (Isle of the Dove), at The Crown Chakra Of Iona, Dun I, at The Sacred Well Of Eternal Youth. Use this essence (wisely) to open and reactivate your Crown Chakra, to generate altered states of consciousness and amplify psychic ability, and to open portals to magical worlds, and magical beings. 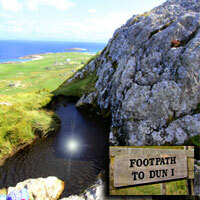 Near the summit at Dun I Mound, the Crown (Seventh) Chakra, there is a holy heart shaped, healing pool. 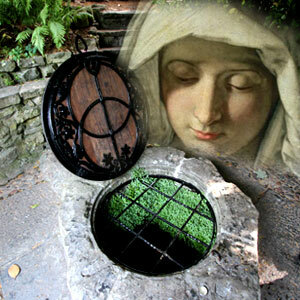 In Gael, the well is called "Tobar na h'oige." Myth and history share that people who come here have been said to have been instantaneously healed. Iona's history is linked to the sea gods, silkies, mermaids, King Arthur, Merlin, to many Grail stories, St. Brighid, and the Goddess Sophia. Its mystery and magic includes tales of Knights Templars, elves, fairies, and pixies . . . also known as the Sidhe or Tuatha De Daanan. Anna (grandmother of Jesus), Mother Mary, the Magdalene order, Joseph of Arimathea, and many other initiates traveled here; thus why so many royal kings and queens are buried in Iona's Abbey's grounds. Iona has an extremely old and natural combination of geology that produces altered states of consciousness and amplifies psychic ability, and this bubbles up in this sacred spring. Iona embodies a huge etheric record of Earth, evolution, human civilization, and its deep spiritual practices. 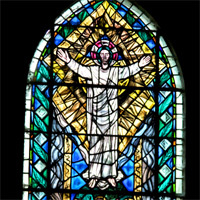 It holds the resonance of "As Above, so Below", and has been called "the Mecca of the Gael." This remote island is sacred to Pagans, Druids, Celts, and Christians alike and especially to their predecessors, the "Shining Ones" (Siddhe, Fairies) and Nordic extraterrestrials (Star Elders). *** Please use this essence with great reverence. Do not drive or operate machinery while taking this essence. You may confuse the magical world with the ones we still reside in. This is not a grounding essence! Use with caution if you have issues with being seriously ungrounded. Made on 9/7/2014. Place 4-8 drops under the tongue or in drinking water. 1 oz. bottle, purified with alcohol. For the highly anticipated the Star of David - Merkaba - Grand Sextile Star Portal on July 29th, we traveled up into the Scottish highlands. We hiked up to the Praying Hands of Mary (a.k.a. Praying Goddess Hands) surrounded by glorious mountains covered in purple Scottish Heather. Once I understood the strange essence instructions I was receiving, the essence bowl was filled with Scottish Highland mountain spring water. 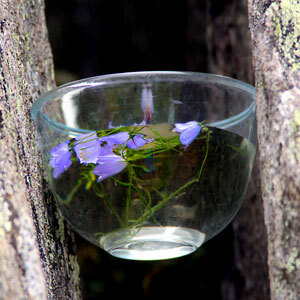 Then I was instructed to "Float" the bowl between the Praying Hand's stones, and place 7 perfect Blue Harebells in the bowl. The Blue Harebells (Campanula rotundifolia ) is a flower that is a Celtic symbol of the Goddess and represents strength of a new birth. The harebelle is said to realign meridians of the soul for greater psychological health, increase the body's flow of vital energy, brace up one's faith, & bring about personal wealth. After a time, you could visibly see the water vibrating in the bowl. Look closely at the photo. We can see an apparition that has appeared in the bowl. Merlyn maybe, or an Ascended Master with hair blowing in the wind? This essence is as complex as the Grand Sextile Star Portal was. This essence holds the key and IS the cracked open door that we have been looking for. It is finding the elusive golden needle in the hay stack. This essence contains the strength and creative power of the Goddess, and the protection and chivalry of the Knights Templar long before they were titles for such names. It heals and unifies our separation from each other, nature and the Earth. It encourages spiritual freedom - the wild free and pure spirit within us, with a gentle strength of character. This essence will also assist in the Astrologer's list of expectations shown below. This essence was made at the Praying Hands of Mary in the Scottish Highlands on July 29, 2013. Place 4-8 drops under the tongue or in drinking water. 1 oz. bottle, purified with alcohol. Then there is the Astrology of the day . . . This very rare Star of David / Merkaba / Six-pointed Star configuration in the heavens is one that astrologers have waited for decades to arrive. It was really two Grand Trines, one in Water and one in Earth (all feminine) which creates this configuration called a Grand Sextile or a Star Tetrahedron . . . A Star Portal. A lot of symbolism was tied into sacred geometry and much mystical configuration regarding Sacred Geometry that opened portals to NEW WORLD energy. This energetic portal operates in uncountable subtle realms. Astrologers are sharing many things that we can expect to manifest a result of the July 29th Grand Sextile Star Configuration . . .
* Heaven and Earth will manifest as ONE, anchored into unity consciousness. Rosslyn holds within stone the wisdom and ancient knowledge of the pure alchemy of LIFE. Embedded within the chapel's astounding architecture, there is frozen music / codes that can free the spirit and the soul. In the past, this wisdom was hidden within the stone until the appropriate time came for it to be released back into the world once again. 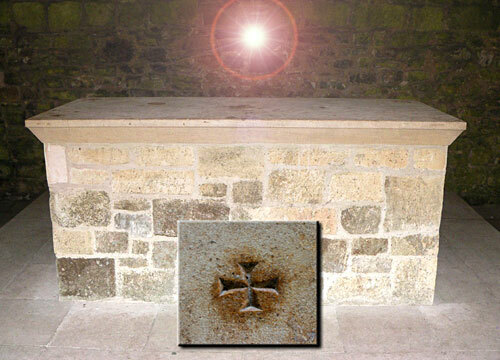 This essence holds the highest frequencies of the Codes of LIFE that were anchored on this land during the pure early days of the Knights Templar over a century before the Chapel was built. Using this essence unleashes these codes and frequencies within our DNA and connects us to our divine blood line. This essence was Created in various places around the chapel. It was tricky as I didn't want anyone to see us creating this essence, thus altering its energy. Some of the energy comes from an amazing portal in the area that they call the Crypt from a carved, holy water vessel, and most of all in the left hand side of the Ladies Chapel where the music was frozen in stone. 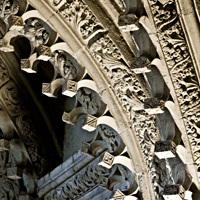 This essence was made at Rosslyn Chapel, Edinburgh, Scotland on July 02, 2012. Place 4-8 drops under the tongue or in drinking water. 1 oz. bottle, purified with alcohol. Use this essence to fully tap into the creative passion and creative love to make great and positive changes in the world. 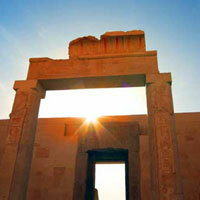 At the massive Karnak Temple, we were allowed to enter the private temple of the great Mother Sekhmet. The energy was much softer than in year's past, but her message was very strong. We are to bring forth the inner Mother force within; so that we can destroy (transform) anything that blocks our path to manifesting energies for the higher good of all. She challenged us to let out our inner lion roar that comes from that protective and creative place. She says that it is time to right the wrongs in the world. It is time to stop passive acceptance of those things in the world that hamper our ascension. She was pulling back and allowing us to step into our own power. Made on 3/24/2015 at Karnak Temple, Luxor, Egypt. Place 4-8 drops under the tongue or in drinking water. 1 oz. bottle, purified with alcohol.
. Use this essence to seal in oneself a high frequency, iridescent, protective, rainbow light cloak, and begin empowering oneself and humanity through divine resonance. We were told that users will also be blessed with a powerful activation/download (ask inwardly if you are ready for this activation). We absorbed the new light from the birthing sun in meditation and ceremony at the edge of this island on the Nile. 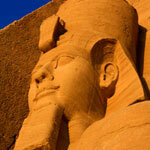 We were assisted by the Immortals, Isis, the Hathors, Thoth and Sekhmet. The presence of these masterful ones were palpable in the inner chamber, in the Holy of Holies. They simply shared "Show up... not show off." This way we will empower everyone. This essence was Created in a private visit to Philae Temple on 3/28/2015. Place 4-8 drops under the tongue or in drinking water. 1 oz. bottle, purified with alcohol. Claim Your Starry Heritage, and know that we are walking Stars on the Earth. "We are the way, the truth, and the life." (Jeshua) "We are the love, the wisdom, and the power." 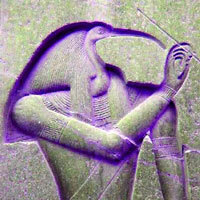 (Thoth) What was in balance with natural law in the past is now being brought forward into the present in YOU. Only that which was pure, good and light with impeccability will survive in the new world. 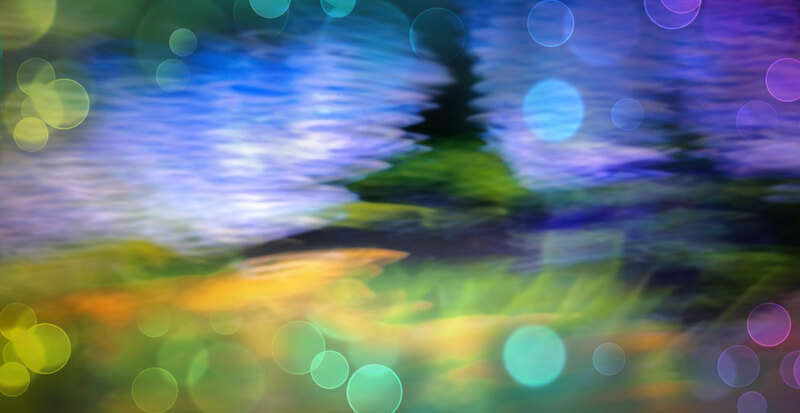 For best results, please meditate for 30 minutes before using this essence, and read the transmission from Jeshua, Thoth, Mother Sekhmet, the Marys, Archangel Michael, and the Star Elders posted here http://www.alunajoy.com/2014-april17.html. Place 4-8 drops under the tongue or in drinking water. 1 oz. bottle, purified with alcohol. Made with the constellation Orion overhead and inside a steamy King's Chamber that magically cooled as this essence absorbed the energy inside the chamber. Absorbing this sacred fire's heat raises our frequency and burns away our mis-creations in thought and action. This essence is for Servers of the Light and those that are dedicated to global unification and awakening. While this essence was made, we saw light Orbs floating all around the pitch blackness. The ceiling of the chamber disappeared and turned into stars. We could see the light aura around our hands. We saw Horus, the Hathors, Sekhmet, Thoth, the Immortals, Maat, the Star Elders, etc.... After a two hour ceremony, a dimensional doorway opened. ** I highly suggest that you use this essence in ceremony. This essence offers a space of deep soul searching (not always easy to face) and may assist in ego death. When using in Ceremony, rhythmically breathe deeply to integrate the incoming waves of energy. You are encouraged to use Thoth's Light Activation Prayer . . .
Place 4-8 drops under the tongue or in drinking water. 1 oz. bottle, purified with alcohol. Warning: Use this essence in Ceremony and Prayer, and only if you are truly ready to face and clear your last residues of old patterns and issues, and take on the responsibility of activating your Light Alchemy. Best used in total darkness to make it easier for you to discovery your own inner and physical light. With energies from Thoth the Atlantean, the Hathors, Mother Sekhmet, Jeshua and Mother Mary, this essence helps remove obstacles to manifesting everything the heart desires that is in alignment with our divine purpose. This essence holds the potential, impeccability and power of the entire universe. This essence is NOT for spiritual spectators, but for those true hearts who have committed and continue to participate in creating the New World. This essence is complex as the days we are living in; yet puts order back in to chaos and with great ease. This essence is an alchemy that facilities each spiritual seeker to be re-born with ease and grace into a new world of their creating. This essence helps us absorb new alchemical frequencies into our aura while we are finishing our gestation period. Goddess Nut and the Hathors shared that the great beyond is going to appear to be an empty void. They asked us to trust and to step through first with your right foot, then with your left foot, and say "I AM here, I AM home, I AM that I AM and SO IT IS." This essence also assists us with our first steps, and to find our new touch stone with the strength, clarity and impeccability of Mother Sekhmet. Mother Mary shared . . . "Thank you for honoring yourself enough to follow your heart in a world that has not supported this path until now. You will be reborn as protectors of this new world." Jeshua shared, "What I have done, you can do also and greater things." Yes, there are greater things for us to do. These are for us to imagine and create. This essence was Created in the old kingdom where the alchemy of light is still untouched and pure. The ancestors understood, used and anchored this alchemy here. This essence was made at the feet of a perfectly untouched carving of Thoth the Atlantean, and next to a perfect and serene, yet powerful, Mother Sekhmet, in a place that is a pure touchstone for all new beginnings. This essence was infused with this old kingdom's etheric record . . . and this was the first time that we were allowed to make an essence here! Made October 9, 2013. Place 4-8 drops under the tongue or in drinking water. 1 oz. bottle, purified with alcohol. Read the full message regarding this essence at http://www.alunajoy.com/2013-oct9 We suggest you read this article (or better yet the entire series) before using this essence. The Goddess Hatshepsut and the Temple Guardians gifted this essence with the pure, unqualified, Atlantean energy of pure potential so that this energy can be released into you and the world without any illusion or lies attached to it, so we can build a new world. It allows you to be who you are, have your power, follow your heart and do what destiny is calling you to do. This essence will help you shed those things that are not truth to you, and also help clear and release your negative ego and illusions including old past life issues and repeating patterns. In doing so this essence will help give you wings to fly and be who you truly are . . . to be real. Place 4-8 drops under the tongue. Place 4-8 drops under the tongue or in drinking water. 1 oz. bottle, purified with alcohol. The essence helps us to hold the vision that all life is ONE. It also activates the memory that God is within us all. These teachings and wisdom that were brought here from the stars help us awaken the God within. This ancient doorway was used by actual beings from the stars that would manifest back and forth to help humanity wake up. They had the power of light within themselves, and they lived off this inner light. This essence helps us to learn to live from this inner light. As we made this essence, this temple also revealed that it holds a hall of records, and we were told that we can enter the memory of this place, and have access to the library. Made on 4/27/2014 in Petra, the Monastery, Jordan. Place 4-8 drops under the tongue. 1 oz. bottle purified with alcohol. This essence helps trigger and enhance deep vision. It acts like a psychic crowbar in which one can see through the illusions of the world. 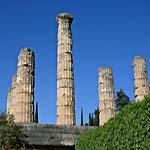 The ancients regarded Delphi as the center of the world. According to mythology, Zeus released two eagles at the opposite ends of the world, and they met in Delphi. Delphi was home to the famous Delphic Oracles who were considered the most powerful seers in the ancient world. 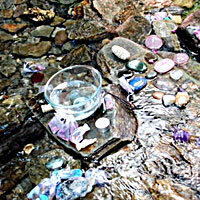 The Oracles would drink and cleanse themselves with water from a sacred spring. Once cleansed, the oracles would draw water into a bowl and focus on the water to have visions. The spring still runs today in a deep ravine between Phaidriades stones and out an archaic fountain built in the beginning of the 6th Century B.C.. This essence was made from the waters of the sacred spring at Delphi in Greece. Place 4-8 drops under the tongue or in drinking water. 1 oz. bottle, purified with alcohol. Use this advanced, two fold essence to bring into balance your inner sacred staff of power with the blue/white light of the star Rigel, the Star of the Goddess Guadalupe. To embody the sacred responsibility of being a living human acupuncturist to bust open any and all limitations and illusions that keeps humanity from mastery. 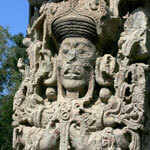 Bonampak is an Ascension Mystery School that fractures all illusion of limitation and false ego. This site and this essence is not for beginners to the path. But if you are reading this, you have all been here before. This essence contains the imprint of the sacred staff of power offered to graduating initiates by the great head master and teacher of this site. It is offered now so we can crack through the shell of illusion that has been holding us back from self-mastery, manifesting and timelessness. This pure, sacred staff of etheric plasma transforms the user into a human acupuncturist that, with each step one takes upon the earth, will punch holes in ego's illusions and limitation for humanity, and lets in the pure light that we have been envisioning. Accepting this staff means that you have made a re-commitment to being a warrior servant to a greater cause for humanity and that you have earned this honoring. This essence will crack and weaken the shell of the old paradigm that we are leaving. The user will then be able to anchor new frequencies, and new parameters of time. It will realign our DNA for the next level of our collective task of awakening the Earth and humanity. This bottle is full of light, full of love. It brings balance to the Male (Staff) with the Feminine (Cosmic Plasma) that is a blue/white light, the Star of the Goddess Guadalupe, Rigel, that is in the belt in Orion. Only a true warrior can manage and hold this sacred staff. Warriors do not go to war, as in ages past, but hold sacred space for a harmonious community and humanity. Use this essence with commitment to a greater cause beyond your personal self. It keeps yourself grounded and in a harmonious space. This essence works well in tandem with "The Stripping Away Limitations of Time Essence" from Yaxchillian, Mexico. This essence was made at the foot of a living Stele of the Great Teacher in Bonampak, Mexico. Made on 12/9/2014. Place 4-8 drops under the tongue. 1 oz. bottle purified with alcohol. The Stripping Away Limitations of Time Essence. Inoculation of the timelessness of the primordial creative power of the universe. 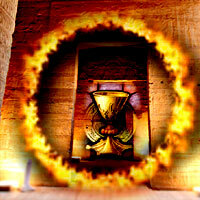 During our process at this temple, we began to see a split in time, and a portal to a new reality. In a few brief waves, lasting only moments, we slipped through this portal, a split in time, into a pure timelessness. We saw that the Goddess Guadalupe's Star Rigel anchored us to the stars and began a process of a new orientation point to the Earth. We have been reorienting our new orientation point for the last couple of years since 2012. This is happening now in our physical, human space suit. 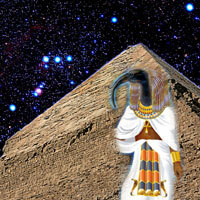 This new timelessness anchored us to the earth and sky with a blue/white matrix that was created around our Kundalini. Time as we know it, holds in place records, history and programming. But these records are from a time that has passed. So this essence helps us to strip away time, as we know it, away from us. Then we saw that we will radiate out from this new center point into timeless infinity. This leaves us with no artificial boundaries or limitations, and places us in the center of the primordial ocean of the Great Mother of which everything is created from. The Star Elder said that this is going to be an "Interesting journey". The manifestation process will become a very different process as we will pull to us, like a vacuum, all that we intend to manifest. Then we will begin to create light instead of simple attracting it! This is the primordial plasma from which all things are created. It is our natural state of awakened human beings; to have the ability to create as Gods. This essence strips away things that our body understands as boundaries or perceptions of linear time, space and dimension. This might make the body feel weird, because it is losing its protective shell. We can't have these boundaries in place. They are limiting, and they stop us from our destiny. This is a homeopathic inoculation of timelessness, the primordial creative power of the universe. The frequency of this essence is offered to help us move into something brand new that we have never experienced before. This gives the user a reference point from which to work within timelessness. Once you have knowledge of this, it is a leaping point for infinite and timeless possibilities. Warning: This essence is not for beginners to the path. Please use with caution, but we also know that if you have been called to read this, then you are ready. We made this essence on the top of a carved stele that the ancient Maya placed standing at the very highest temple of the Yaxchillian City Complex. We made it on a very holy Day, The celebrations of the Goddess Guadalupe. This essence works well in tandem with "The Sacred Staff of Power Essence" from Bonampak, Mexico. Made on 12/12/2014 - The Sacred Day of the Goddess Guadalupe. Place 4-8 drops under the tongue. 1 oz. bottle purified with alcohol. 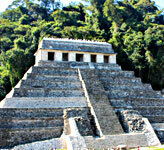 Palenque embraces a Higher Octave of Divine Intuition from the Purest Realm of Living Knowledge. This essence was made on the much prophesized date of 12/21/2012 (Baktun 13.0.0.0.0) in the sacred site of Palenque, Mexico . . . the resting place of Pakal Votan. By using this essence, we are able to access the Hall of Records in a higher octave. Palenque is an activator for a higher octave of divine intuitive understanding. This is our first essence made from a new realm that had not yet touched the Earth during a torrential rain storm. We only used water that fell from the sky. The Star Elders say this essence holds a higher octave of energy coming directly from the great central sun. The past can no longer live in this new realm. 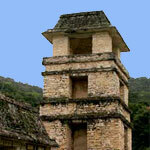 Palenque is home to the great hall of records . . . a living library of wisdom that reveals universal truth to those who listen with open hearts. Palenque is aligned with solstices, equinoxes, eclipses and zenith passages of the sun, and was built with advanced, sacred geometry of the divine proportion called the golden mean or Phi. 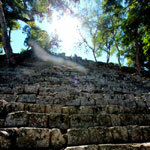 Palenque is an ancient school for spiritual initiates. In the book "The Keys of Enoch", Palenque is the head of a huge, geographical dove grid anchoring a new definition of peace and wisdom. Palenque is also the center of the Earth's Merkaba that connects with planetary and universal grids. Use this essence to heighten your divine intuition and insights and to access the great etheric hall of records. Place 4-8 drops under the tongue. 1 oz. bottle purified with alcohol. 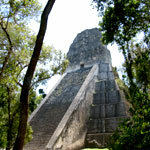 Tikal embraces a Higher Octave of Divine Authentic Power, and Brings About Deeper Understanding Over New Laws of Nature. This essence was Created in the sacred site of Tikal in Guatemala on Christmas Eve and the third day of a new era on 12/24/2012 (Baktun 13.0.0.0.3). 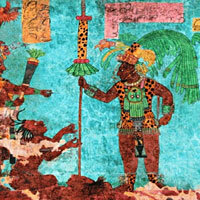 This essence was made during a Maya Fire ceremony performed by Tikal's local Maya Itza Shaman. As of this shift in age into 2013, Tikal also holds a higher level of compassion and quality of heart that was not present in years past. By using the essence, we can acquire heart-centered yet evolved, authentic power, bringing an advanced mastery over the mind and consciousness regarding the new laws of nature. This new cycle is also tempered with a higher level of compassion and quality of heart. Tikal holds the presence of fiery power of the physical and the intellectual worlds, within the raw force of nature. Tikal possesses a certain quality of magic and stretches your mind and heart to hold more wisdom and light. Use this essence when you need help to re-anchor your personal power, or when you need clarity over life's many confusing and new decisions. Place 4-8 drops under the tongue. 1 oz. bottle purified with alcohol. Quirigua embraces a Higher Octave of limitlessness and manifestation in a human form, and holds the codes / maps of the physical voyage between dimensions. This essence is the FIRST essence that we were allowed to make in the sacred site of Quirigua in Guatemala. It was made on 12/26/2012 on (Baktun 13.0.0.0.5). By using this essence, you have access to the necessary codes needed to enter and exit the Earth's hologram a.k.a. intergalactic migration. This site is permeated with the gentle power of feminine creation and manifesting that can be deceptively gentle. 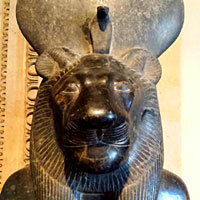 It is a powerful, heart energy much like the Goddess Sekhmet in Egypt. Quirigua simply feels like it is not of this Earth. And it isn't, as it is a portal to other worlds. The Maya have a story that speaks about the last days of the Starry Ones, the Star Elders, the Invisible Council, who left the Earth plane for the final time from this sacred site (800 years ago). Quirigua is the site where this historical exit took place. Quirigua is filled with living stone monuments that hold the maps and directions for inter-dimensional travel. The unique Zoomorph G is a map of the universe and contains the necessary information needed to enter and exit the Earth's hologram. Each stunning stele is that of a Star Elder and is adorned with codes and encircled by our cosmic ancestors. The Main Plaza of Quirigua was created out of white quartz crystal which amplifies the energy needed to generate cosmic migrations. Please use this essence, with caution, in drug free, meditative altered states and while sitting down in a safe location. It can activate astral travel and possibly physical travel. Also, you might want to read the book "the Life and Teaching of the Masters of the Far East". Place 4-8 drops under the tongue. 1 oz. bottle purified with alcohol. Copan embraces the next Higher Octave of Living Mastery / Emergence, and brings about the culmination / birth of all five newly evolved elements needed to manifest the new codes of life on a new Earth. This essence was Created in the sacred site of Copan, in Honduras, on the seventh day of a new era on 12/28/2012 (Baktun 13.0.0.0.7). This essence binds together all five elements and fortifies new and higher concepts and codes of life and laws of nature that will be needed to build a new world in 2013 and beyond. Copan . 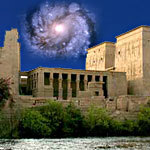 . . is called the "VALLEY OF KINGS", but the Star Elder's say "It is the valley of Living Masters." The entire area is enshrouded in myth and mystery. Stories of UFO sightings abound throughout the surrounding villages. 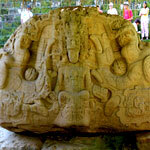 Copan's living stone Stele are legendary, and the Hieroglyphic Stairway is a path to the great Central Sun. COPAN means "Xuxpi" which is related to an inner dimensional Celestial Bird. According to the Mayas, the Celestial Bird was in charge of taking you from one place to another. 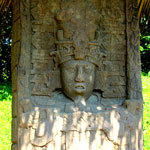 Copan could be considered a "Copantl", which means "pontoon or bridge". This is where one could literally walk into the Great Central Sun. It is here that many enlightened ones discovered this bridge within. This bridge allows one to emerge, or be re-born into their true self, and transport themselves to another world or reality. It is here that the Emergence of the Dove (enlightened beings) was completed. Use this essence to expand your creative process beyond what you already know, so as to create directly from the new codes of nature that come from the Great Central SUN. Please use with caution and use it sparingly in small inoculations, so as not to burn yourself out. Place 4-8 drops under the tongue. 1 oz. bottle purified with alcohol. On this extraordinary day, Moray was magnifying the already extremely powerful frequencies coming from the higher realms/dimensions that were already taking place on Earth. On this day, we got a small peek, inoculation if you will, of the new frequencies that we are coming into as we enter the new world. The energy was extremely high when Spirit asked us to make this essence. This is a serious doorway between dimensions. Use with Caution Please. Only use while meditating sitting down and propped up in such a way that you will not fall if you are called out of your body. We are not kidding. 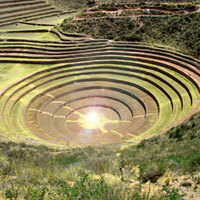 Created in the sacred site of Moray, in the Sacred Valley of the Incas, Peru on 9/18/2012. Place 4-8 drops under the tongue. 1 oz. bottle, purified with alcohol. 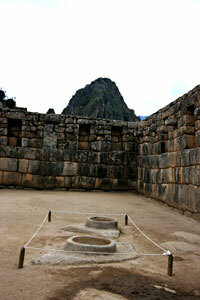 There are two areas in Machu Picchu where sacred oracles lived and were kept safe and secure. This essence was Created inside the oracle site that is on the east side of the city of Machu Picchu. The oracles would slip into a semi-trance while gazing into the rippling reflections in the carved granite reflection pools. They could see anything they might direct their focus on. They could read the living library of wisdom and truth (also known as the akashic records), gain personal insight for themselves and others, see and send messages throughout the world and other dimensions, and see the future too. This essence was created to help us fine tune our inner knowing and seeing in these areas. Made on September 23, 2009 on a very quiet, late afternoon, with water from the sacred springs running throughout Machu Picchu. Please use wisely and only when you are ready to see wisdom and reality that will create quick change in your lives. Place 4-8 drops under the tongue. 1 oz. bottle purified with alcohol. Ollantaytambo, Peru. Sets us free of any unbalanced negative energy and awakens us to the oneness of the Universal Heart. 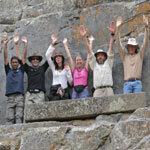 In the sacred site of Ollantaytambo, at the site of the Condor, just beneath the Condor's wings there is an ancient alter that is home to a powerful singing rock. When an initiate lies upon this rock, while others are striking it at the four corners with stones, a frequency eminates through the rock, and into the initiate, breaking free any unbalanced energy and awakens one to the oneness of the universal heart. A powerful and rare mid-day multicolored Sun Dog was present while making this essence on September 19, 2008. 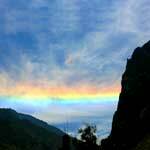 The Sun Dog arced between the Condor site and the Lord Waricocha site. Place 4-8 drops under the tongue. 1 oz. bottle purified with alcohol. Heart Opening - Heart Clearing. September 2008, we had the honor to experience another beautiful, heart ceremony with our dear Qero brother Lorenzo. He allowed us to create a sacred site essence of this ceremony. Spirit conveyed the message that we can't reclaim paradise or enter a promised land with our hearts closed. 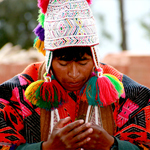 "Ceremony of the Heart Essence" was Created in the sacred Valley of the Inca Masters just a few days before spring equinox. This essence opens the heart even further than any essence that we have created to date. Place 4-8 drops under the tongue. 1 oz. bottle purified with alcohol. Watch excerpts of the "Ceremony of the Heart" on YOUTUBE HERE. You can see the essence bowl sitting right where Lorenzo is building the Mesa. Awakening the Star Elders Universal Library. 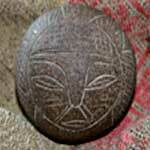 The Stone of Ica is an ancient stone carved by Star Elders over 60 million years ago. The stone is so amazing that there is little we can say here that would really convey its amazing effect on people who come in contact with it. Simply put... when we are exposed to any one of thousands of Ica Stones we activate our living library within our DNA . . . our universal memory. This stone was a gift to Aluna Joy from the late Dr. Javier Cabrera in 1998. Over several decades Dr. Cabrera has collected and kept safe over 11 thousand of the powerful stones in a dusty 2 room room museum. Since Dr. Cabrera's passing in December 2001 we decided to make a essence of this stone in honor and in the memory of a man who gave his whole life to bringing the discover of the stone to the public. This essence was made with this stone. (Here is to you Dr Cabrera. Have an amazing journey back home. We are going to miss you.) Place 4-8 drops under the tongue. 1 oz. bottle purified with alcohol. Nature's Chemtrail Remedy / Self Sustaining Life / Longevity / Rapid Transformation. A few years back, I was suddenly called to create an essence from a very rare, Albino Redwood tree. The Albino Redwood is considered a parasite, and for years after, I wondered why I needed to make an essence from this tree. Only now, because of a reader sending me a link to an article on Albino Redwoods, do I now understand deeply why I was called to make this essence. Now it makes sense to me that the tree jumped out at me, and called me back to harvest a few, rare branches. We live in a very toxic world where our air and earth are filled with heavy metals, pesticides and countless other toxins. Albino plants and trees are more efficient at absorbing heavy metals and other toxins without being lethal to the plant. Once they absorb the toxins, the toxins become trapped and are no longer able to enter the healthy, green redwood ... AND ... they remove toxins from the environment for good!!! Apparently the green needles from the giant redwoods are at the brink of irreversible poisoning. So healthy green redwoods offer precious sugars to the Albino Redwoods to lessen their load of toxins. This is a beautiful, symbiotic relationship. So now I understand why I was called to make the Albino Redwoods Essence. This could be nature's chemtrail remedy! We are being bombarded from the sky with barium, aluminum and cadmium. Our soil is depleted and filled with pesticides, and our wheat is filled glycophosphate (In most wheat products. This essence reacts just like an underworld ally would act in the spirit world. In other words, this parasitic plant has offered itself to capture old embedded toxins, and clear out newly introduced toxic, heavy metals and other uncountable poisons from our bodies, before they can harm us. This essence boldly accelerates our adaptation into the energies and environments of the new world. We can now THRIVE with seemingly little support. In a complex and confusing time, we are being compressed to the core of what makes us human beings. Life is changing in unexpected ways and we are searching for a life boat to navigate the strange transition we are in. By pure synchronicity we had our first encounter with a rare snow white Albino Redwood tree on a spontaneous road trip up the Big Sur Coast. We could feel its strong energy of adaptation, and determination and persistence vibe surrounding a deep feeling of survival, longevity, and even immortality. 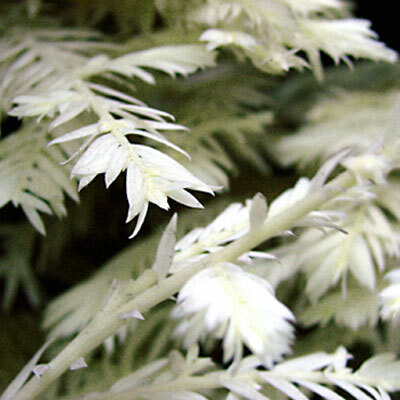 Albino Redwoods are the only white evergreens in the world, and are extremely rare. Their locations are closely guarded secrets. There are a few scattered between the Northern CA coast and Big Sur. They are thought to be the most adaptable plant on Earth by being able to change their DNA readily as needed in this changing world. Albino Redwoods have learned to THRIVE in a world that is out of balance. Today we are being asked to let go of outdated programs, perspectives, relationships, geographically locations and livelihoods. We have identified with these old energy fields as those which made us human. But they are changing. Now we are arriving into a new frontier where we will understand, navigate and THRIVE in new energies. We are rapidly transforming into a new self-contained form. This form is the next level/evolution of a conscious human being. Use this essence for assistance with letting go and clearing out environmental toxins. use this essence to access your own sustainable inner power source. Through resonance with the abilities of the Albino Redwood tree we can Thrive on the LIGHT Within. It was a powerful privilege to deeply commune with such a unique and special tree! Place 4-8 drops under the tongue or place in drinking water. 1 oz. bottle purified with alcohol. Quantities are limited. Deepens and clarifies meditation offering the user a timeless and deep state of peace; raises the personal frequencies purifies block and negative energy in and around the energetic bodies. 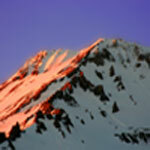 Intensified by the presence of the Great White Brotherhood of Mt Shasta. 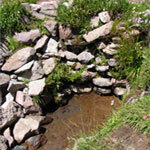 This essence was made at Panther Meadows Spring with sacred water. The essence was made with Shasta Springs water. Place 4-8 drops under the tongue. 1 oz. bottle purified with alcohol. On December 1st, 2010, after a 10 year wait, I was finally given permission to make a Star Elder Essence. It was made at a secret location of an Extra-terrestrial Grave site in a remote Sedona Canyon that is also near an area known for UFO activity. The short story is during the 1950's Roswell UFO incident, another ship had crashed and one living extra-terrestrial survived. He/she was a peaceful and loving being. He/she was taken care of in a near-by Arizona reservation for a few years. He/she did not speak but transmitted messages with frequency. While making this essence with a few of my 2010 Peru family that I also trusted into secrecy, we discovered that a certain frequency allows contact between this world and theirs. This frequency was embedded into the essence. I think this essence will be of helpful to those who crave contact with their star family. Use with reverence and respect for all life in the universe. (Sorry… I cannot give out any more information about this, or share the location of the grave site, because I have been sworn to keep it's location a secret. I ask you to please honor my request.) Place 4-8 drops under the tongue. 1 oz. bottle purified with alcohol. It is with great honor and respect that we bring you a new and timely essence. ~ The Chief Ouray Peace, Patience and Diplomacy Essence was made on July 28th, 2009 during the Fire the Grid II Activation and in the heart of the eclipse trio (July 7, July 21-22 and August 5-6). It was created high in the magical San Juan Mountains in South Western Colorado, at an elevation of 7,700 feet, in the peaceful community of Ouray, Colorado that is also known as little Switzerland of America. We made it with water from the Chief Ouray's Hot Springs cave just a mere 200 feet from Chief Ouray's hunting cabin. He shared the cabin with his wife, Chipeta, who he considered his equal during a time when women's rights had a long way to go. If you sit quietly in this powerful, hot springs cave, you can still hear the ancient ones' chants echo among the dripping mineral water. You can still feel them performing their ceremonies and prayers. Native people today still use the cave on occasion for ceremony. Use this essence to inspire a confident, powerful, and unshakable presence of PEACE laced with unending PATIENCE and tenacious DIPLOMACY. These will be much needed qualities for us to help unify humanity in the days and year ahead of us. Use with reverence and respect for all life. Place 4-8 drops under the tongue. 1 oz. bottle purified with alcohol. BUY all 44 Essences and SAVE 22%! Save mucho pesos, sols, pounds and dollars! NOTE: Does not include any Endangered, Extinct or Blend essences. I got to have all 44 Essences! ON LINE.... 24 hours a day, seven days a week, you can order on our secure server for instant gratification! BY PHONE - Phone here We take most credit cards. If we are on the line, or out in another dimension, please leave a message and we will call you back ASAP. and shipped Priority Mail in the USA and Air Mail for international orders. MUCHAS GRACIAS - THANK YOU FOR YOUR ORDER! Disclaimer Notice - The statements regarding our products have not been evaluated by the Food and Drug Administration. These products are not intended to diagnose, treat, cure or prevent any disease (physical / emotional / spiritual). The sessions and all products mentioned in AlunaJoy.com are alternative or complementary to healing arts services licensed by the state. The information on this web site, including any links to external sites, testimonials given by customers, or in e-mails composed by any representative of AlunaJoy.com is designed for educational purposes only. It is not intended to be a substitute for the advice and care of a licensed medical professional in the country, state or jurisdiction in which you reside. Under no circumstances will AlunaJoy.com be held liable for any damages arising from or in connection with use of the web site to the fullest extent permitted by law. Users agree to hold harmless and indemnify AlunaJoy.com and its owners, employees, agents and representatives from any liability or expense arising from or in any way related to use of the web site. AlunaJoy.com is not responsible for misuse of any information contained in the web site. AlunaJoy.com does not (1) make any diagnosis, (2) prescribe medication, or (3) recommend that any person discontinue medication prescribed by a license healing arts services practitioner. You should not use this information to diagnose or treat any health problems or illnesses without consulting your doctor. Customers agree to hold AlunaJoy.com, its owners, employees, agents and representatives harmless in any claim of product liability. Nobody working for or connected with AlunaJoy.com is a licensed medical professional, unless otherwise stated. Please consult a doctor with any questions or concerns you might have regarding your condition. AlunaJoy.com is not affiliated with, nor do we recommend or endorse any other websites listed within our site and advise that you make your own informed decisions when it comes to links to other web sites which we have provided. Customers agree to all the information given on this web site as the conditions of sale. AlunaJoy.com will not be held liable for any damages resulting from the correct or incorrect use of any information published on this web site.